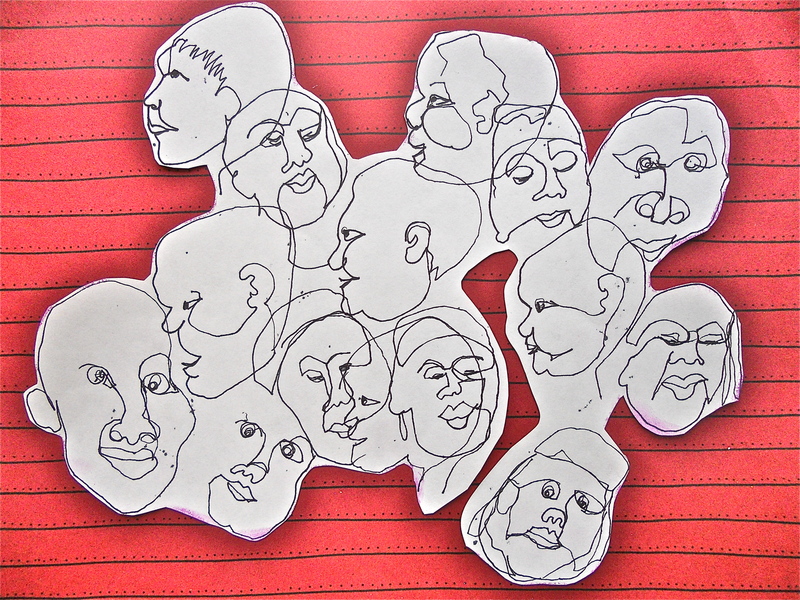 I’ve been a bit sparkless but Carla Sonheim’s Spark lesson on doing one-line faces I had energy for. 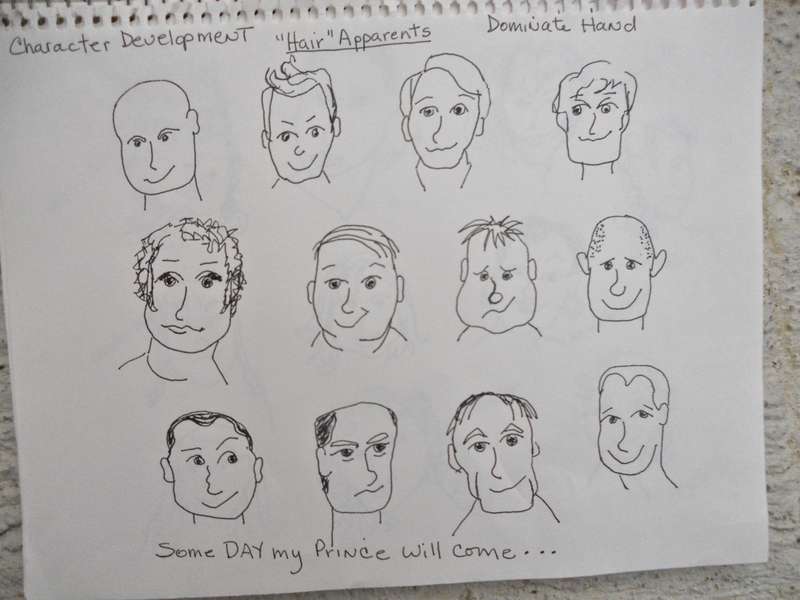 One I drew from my imagination, one using a photo of a real person and another is a person on TV. Bet you can’t tell which is which . . . ! You can do this too. 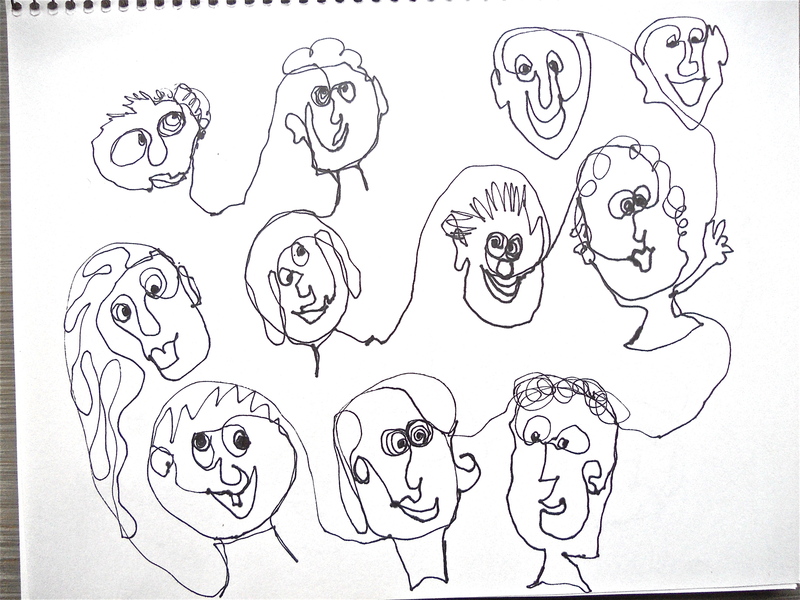 Just put your pen down on the paper and keep drawing using one continual line. It’s fun and easy . . . as long as you have no expectation to have it hanging in the Museum of Modern Art. 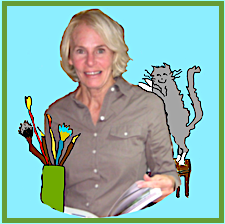 Finding my characters – still drawing from photos of real people. I use royalty free images so when the people recognize themselves I can’t be sued . 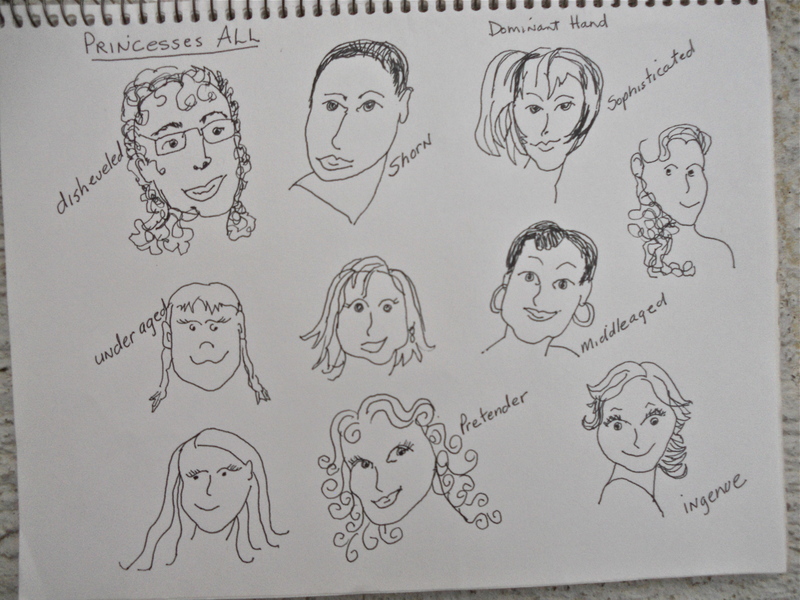 . .
After this assignment I’m thinking of developing an on-line dating site where Princes and Princesses can link up to “expand their kingdoms” and conceive royal froggies (next assignment).